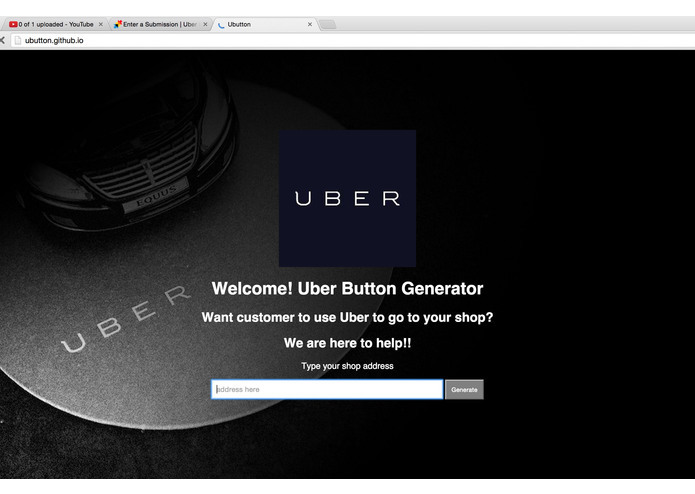 Ubutton is a button which Uber customer to you. 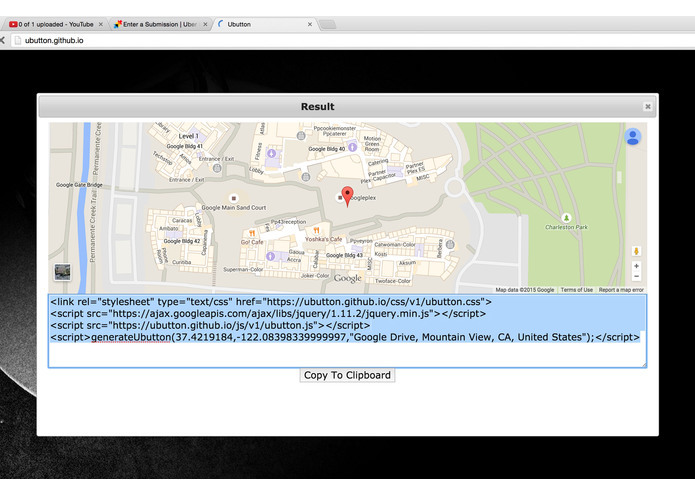 Build an Ubutton and deploy it to your site within minutes. Copy-and-paste means no coding. Provide real time price and time estimate. 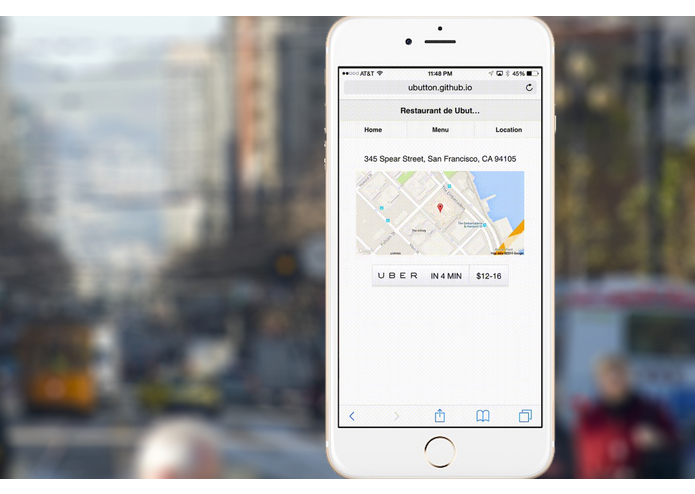 One-click to open Uber app so your site provide a seamless experience. Support all platform of mobile device, even if it is Windows Phone. ** To use the services, first go to https://ubutton.github.io, put in your address and press Generate. Copy and paste the code onto your site. Finally, your customers click on it and get to your business!